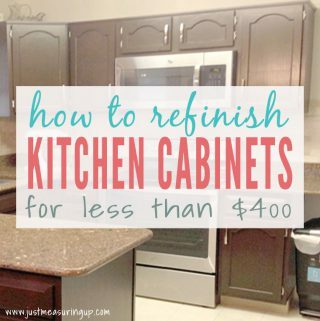 In addition to gel staining their kitchen cabinets and installing tile backsplash, Ash completed the last step of the room redo by converting a kitchen desk area into a cabinet – an easy upgrade with lots of benefits. 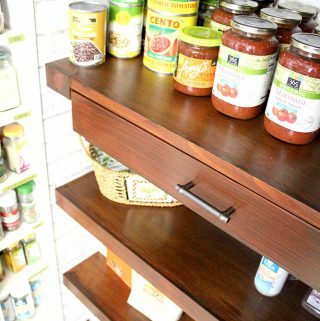 Looking for ways to create more space in your pantry? Love to repurpose old items? 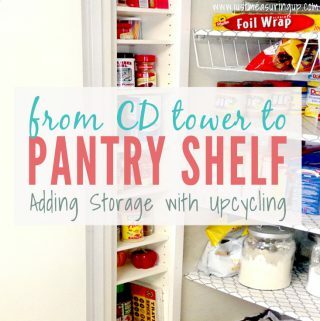 Check out how Ash converted an old CD tower into a built-in pantry shelf. The process was simple, and it didn’t cost a penny. 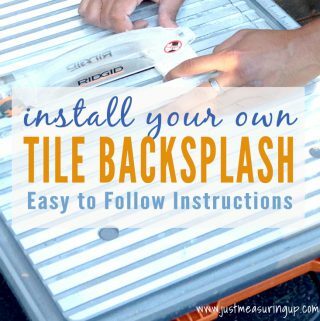 Ash shares his process of installing stone backsplash in their kitchen, as the second phase of their kitchen makeover. This couple hour project ended up bringing the whole kitchen together. 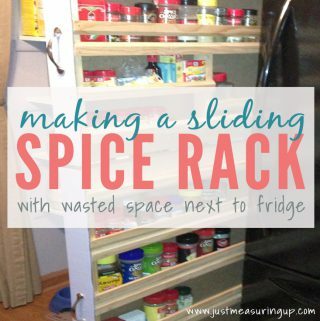 With the otherwise wasted space between the fridge and the wall, Ash created a seven-shelf, sliding spice rack that left an entire corner cabinet empty, providing more than organization than one can imagine. Thinking about redoing your kitchen? 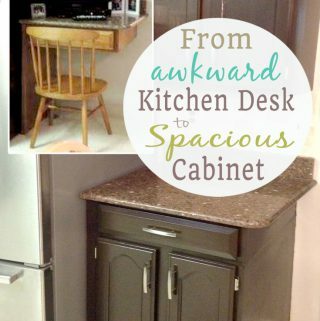 Read about how Eileen decided to reface their kitchen cabinets. Although it was time-consuming, it was extremely cost-effective and the results were 100% worth it! 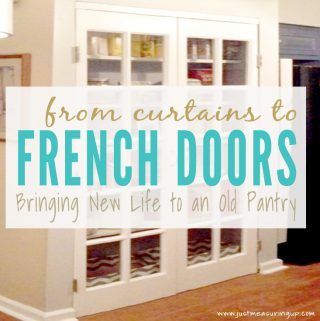 Eileen shares how they installed French doors to replace their old, curtained pantry to create a fresh, updated look before they put their house on the market. You won’t believe the difference this made!